Status: All Seasons Available on DVD! Official Site Twitter: now has 4,946 followers. Official Mack Twitter: now has 16,026 followers. Official Facebook: now has 18,601 fans. Photo Galleria: now has 4,002 photos. Listed: officially at The Fanlistings. 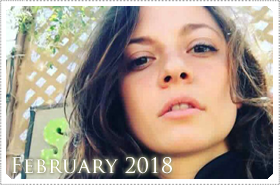 FEBRUARY 2018: NEW PHOTO’S, MACK’S BIRTHDAY, NEWS! Mackenzie Rosman celebrated her birthday last December 2017 in LA with her close friends and motorbike riding group. As you will know, Mackenzie turned 28yrs old on the 28th December 2017 and I just want to say that Mackenzie thanks all the fans for their beautiful birthday messages wishing her a lovely bday, so a big thank you from Mackenzie! I also want to thank the fans for visiting by this website and the Facebook group page, and showing all the support for our girl, Mack! I want to say thank you to the fans! Your continued support is amazing and Mack is very lucky to have all of you. I hope everybody had a great Christmas last year and holiday season, I can’t believe we’re now into February of 2018 already! It just goes crazy fast. In other news, there has been a number of new photos and I have added them all into the website’s photo gallery, be sure to check them out! I’ll also include our classic preview thumbnails of the latest added photos, at the bottom of this post, enjoy! I know new photos is your fave content from the website and the latest news>.